This content is © 2016 Daz Smith| All rights reserved. 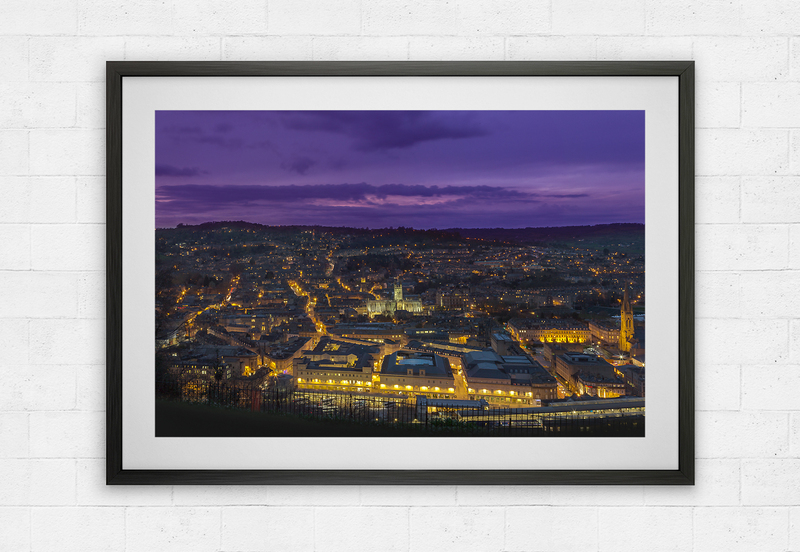 This stunning image of the City of Bath skyline is taken from Alexandra park in Bath and shows the City of Bath as the sun sets on the left horizon casting a bright purple glow. 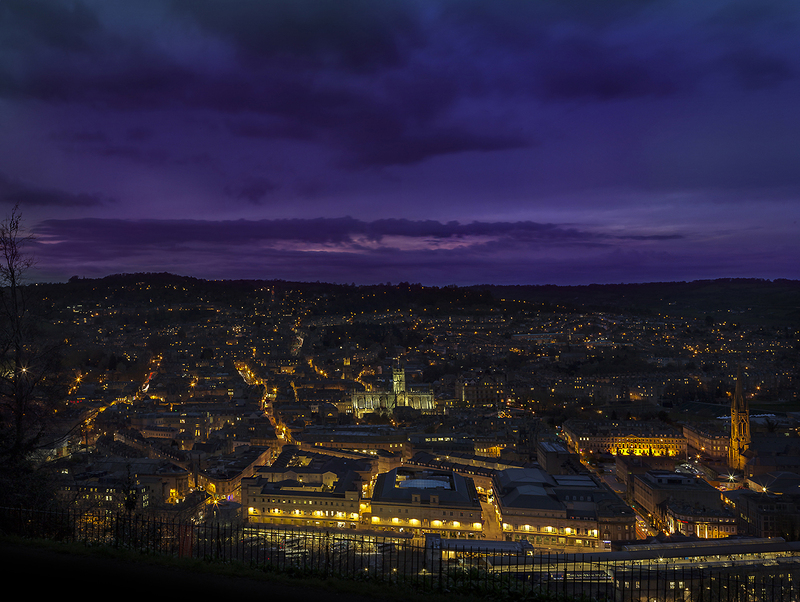 The city lights come alive at dusk and central to this scene of Bath is the famous Bath Abbey bathed in light. (Click here to view a larger image). The range is limited to 200 Limited edition Photographic prints on Fuji DP Professional paper in Lustre. The prints are available in three sizes 10×8, A4, A3.